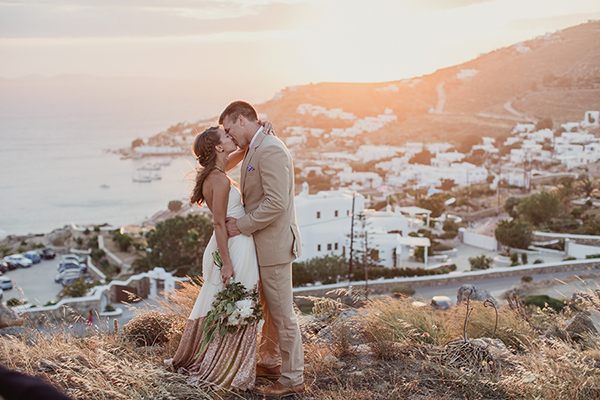 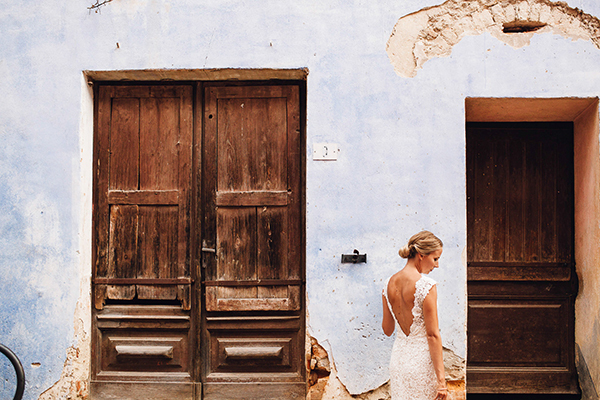 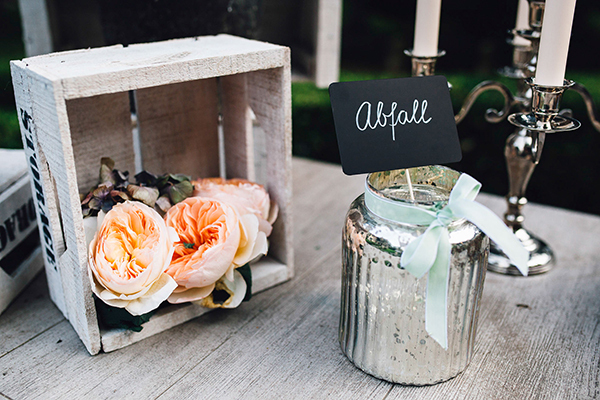 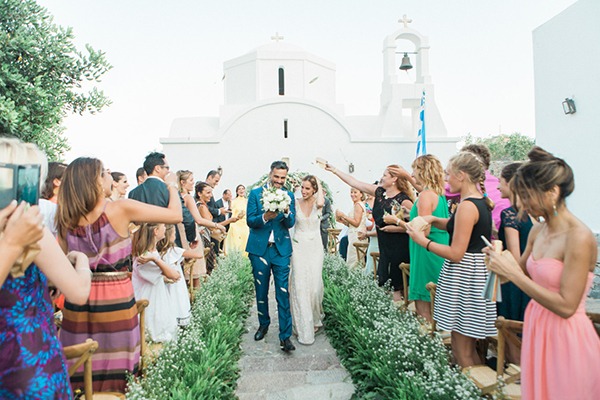 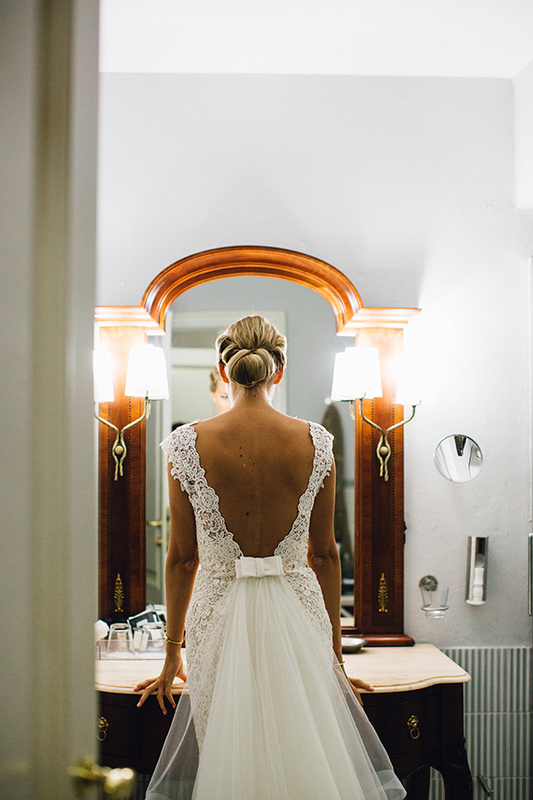 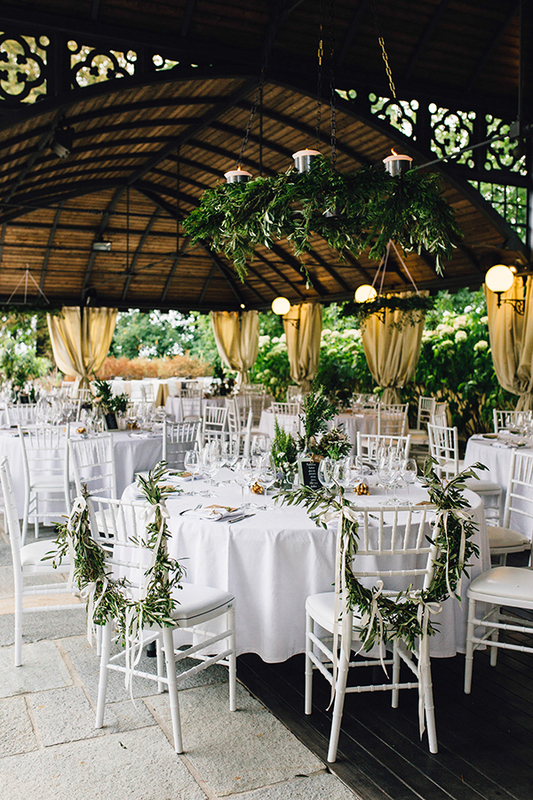 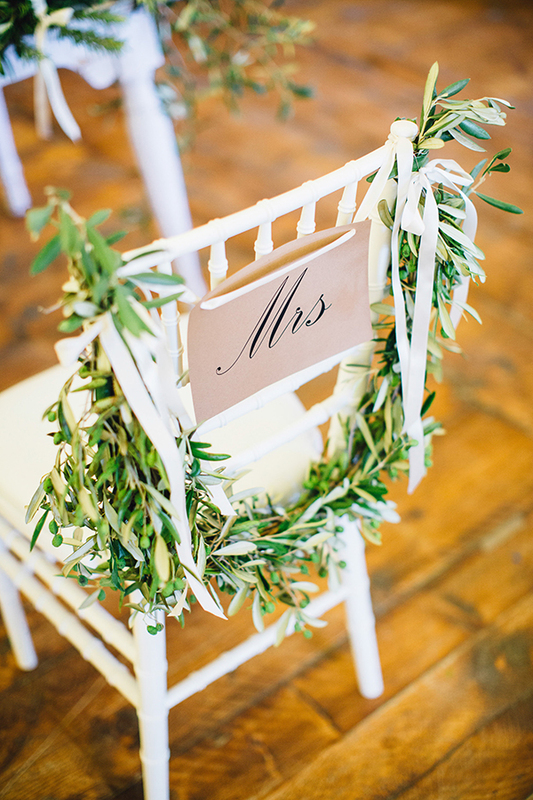 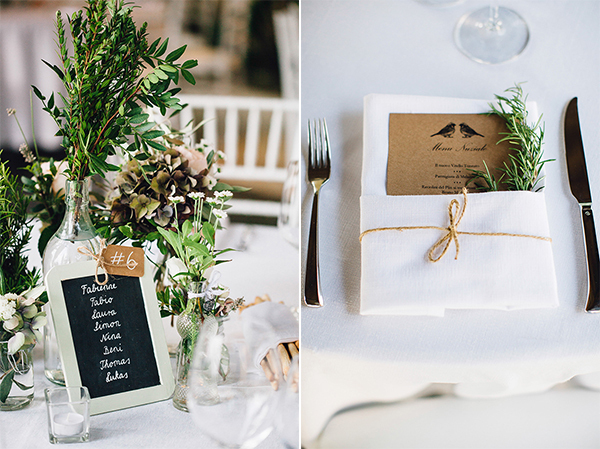 What a gorgeous destination wedding! 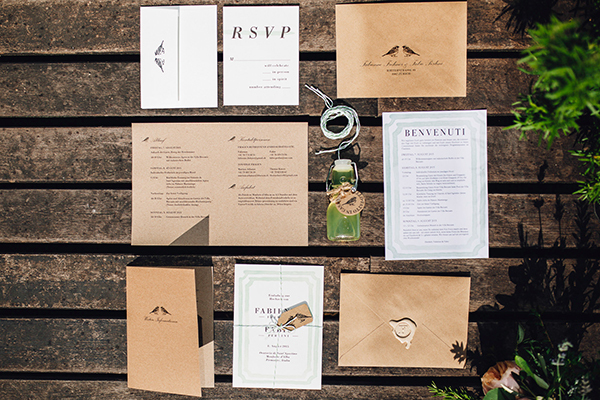 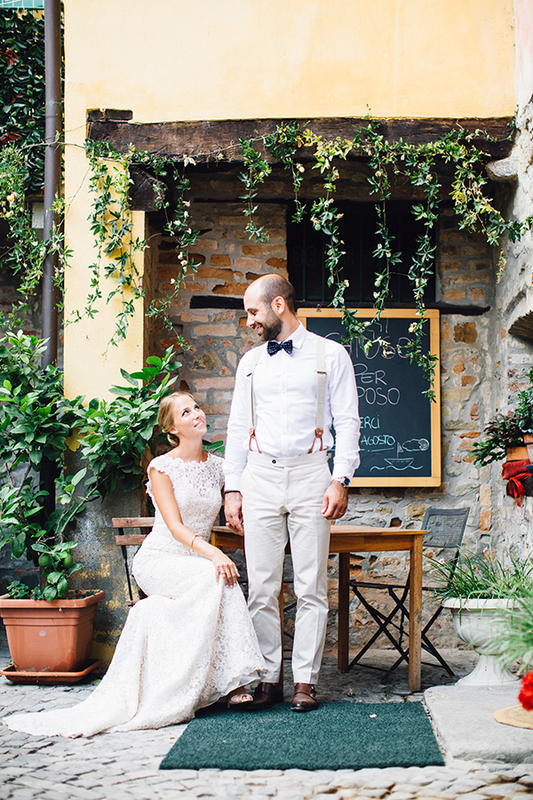 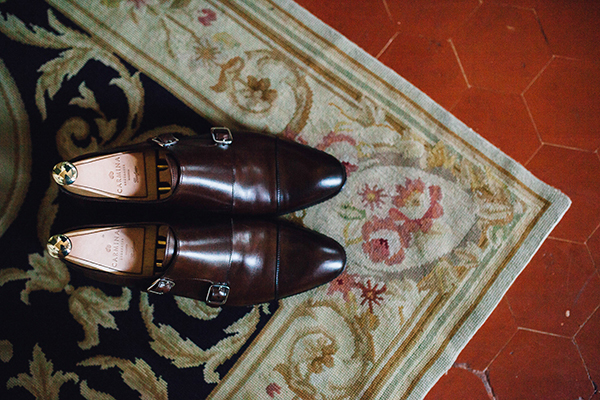 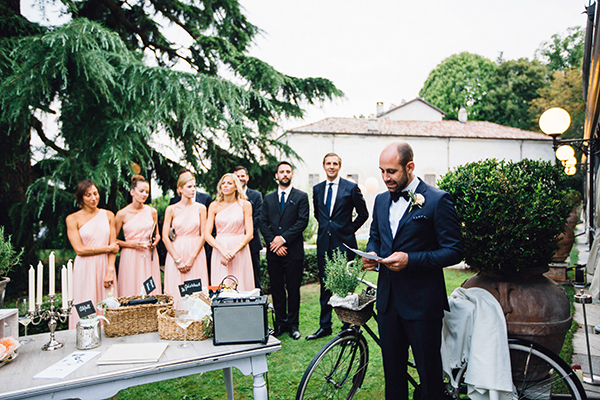 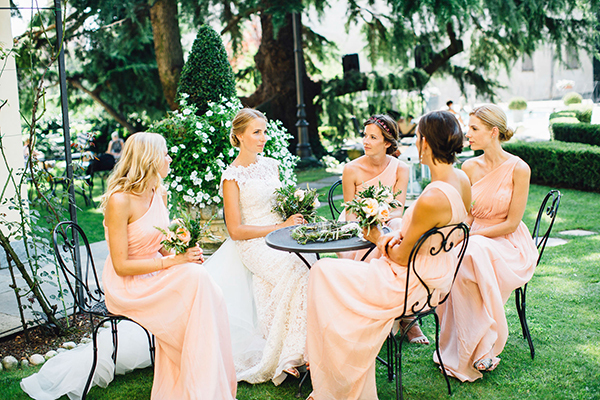 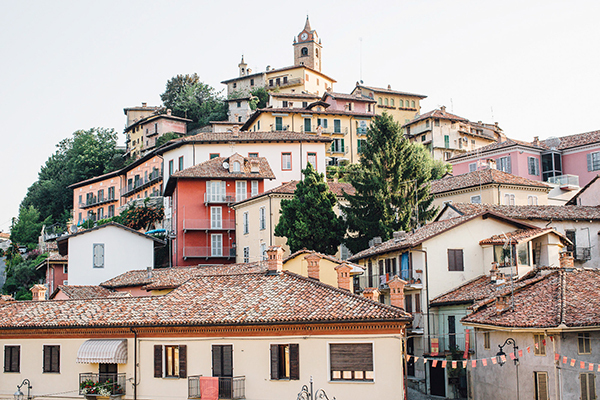 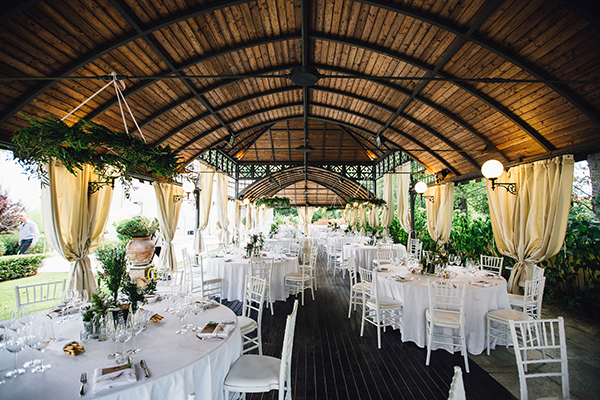 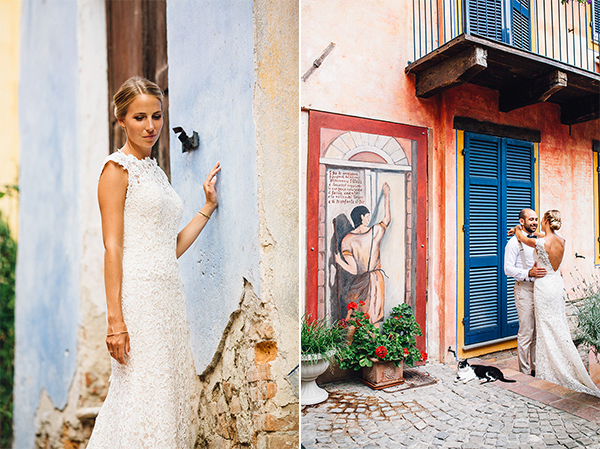 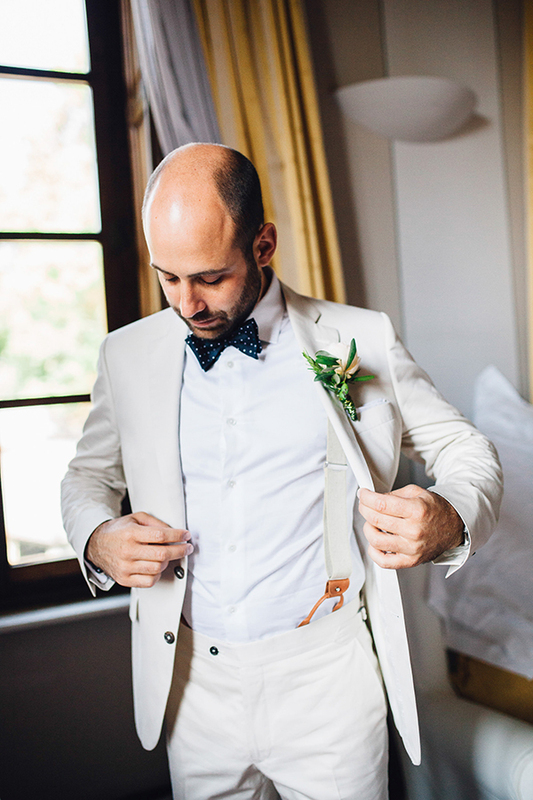 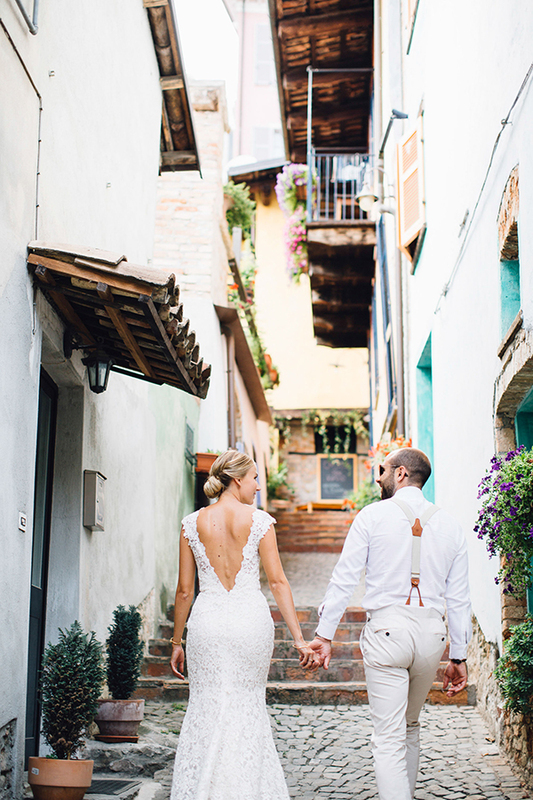 From the colorful town in Northern Italy where the wedding took place to the stylish couple, you are going to love this wedding! 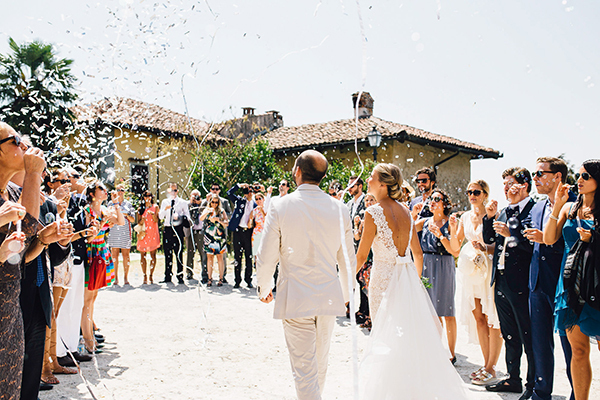 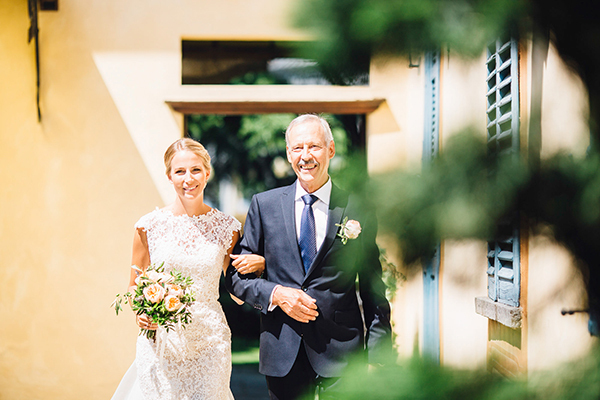 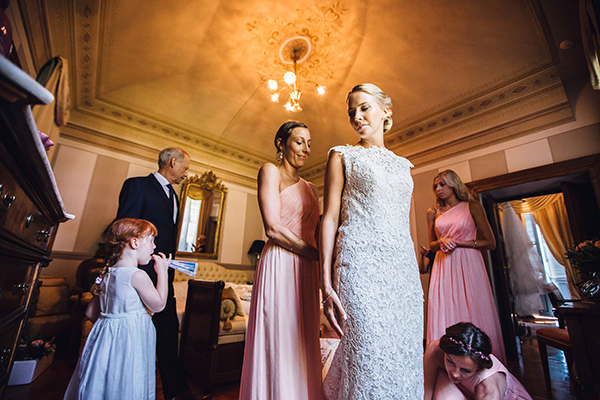 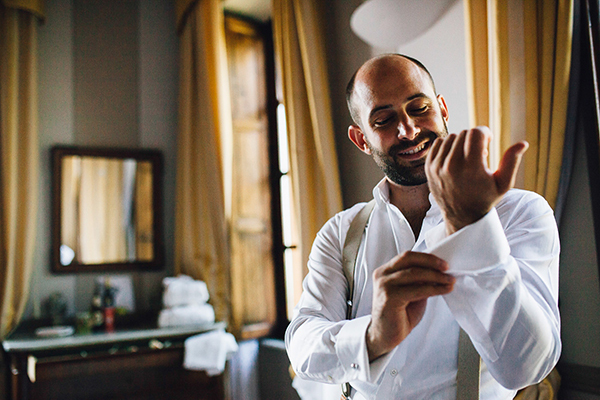 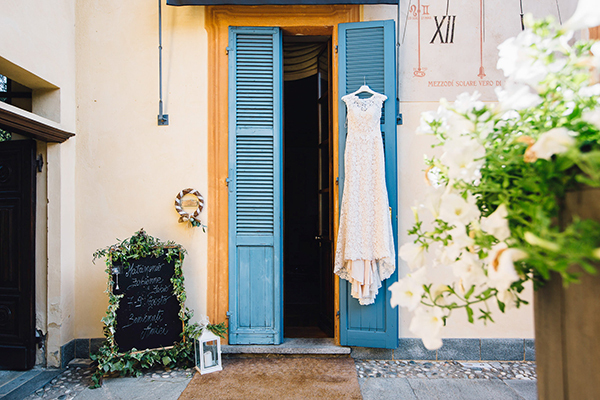 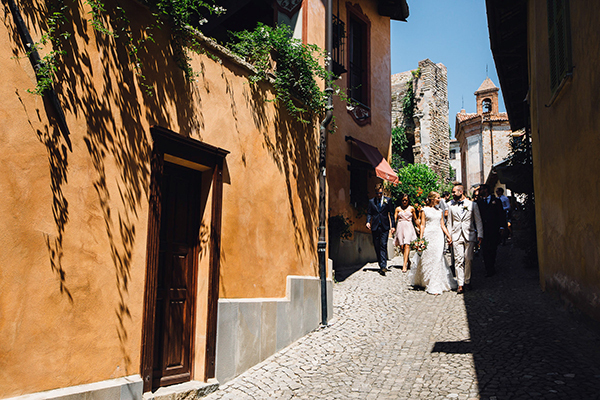 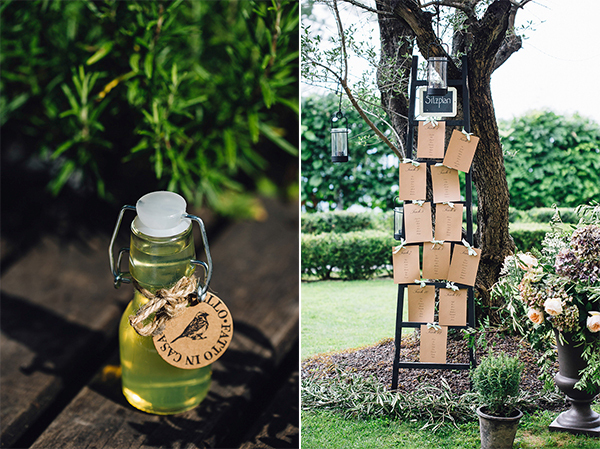 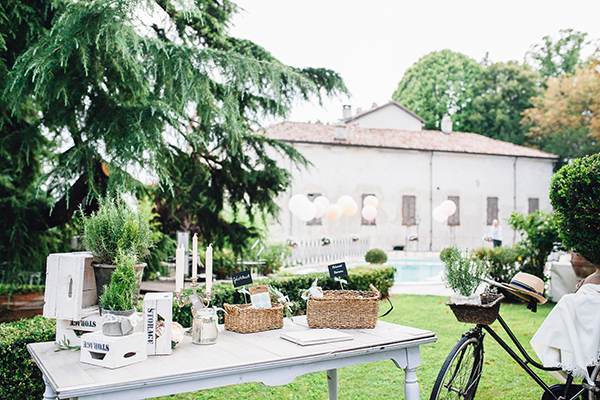 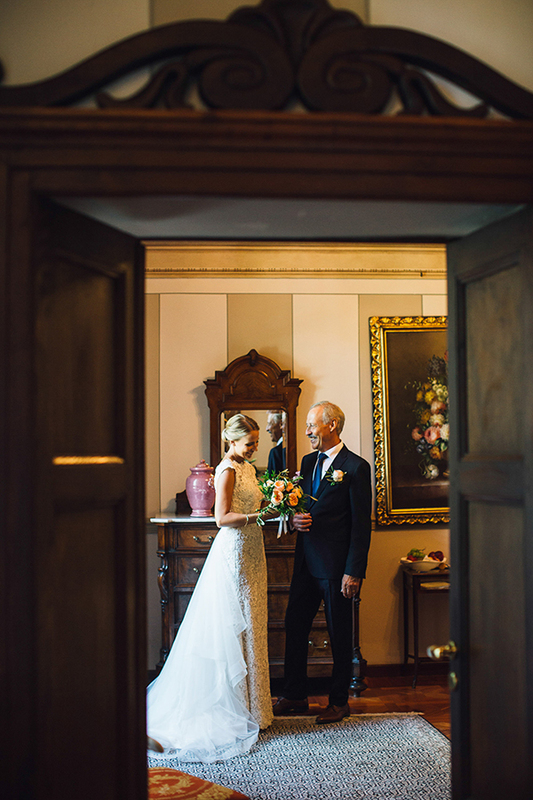 “Fabienne and Fabio’s wedding was a lovely celebration of love in Monforte d’Alba, a little colourful town in Piedmont, in the Northern Italy. 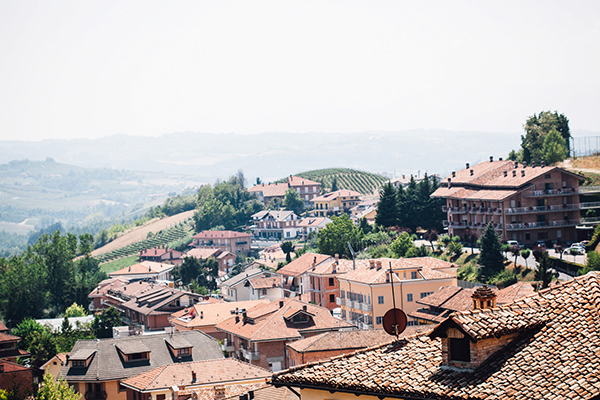 Surrounded by hectares of characteristic vineyards, Monforte d’Alba is part of the zone of the noble Barolo wine production. 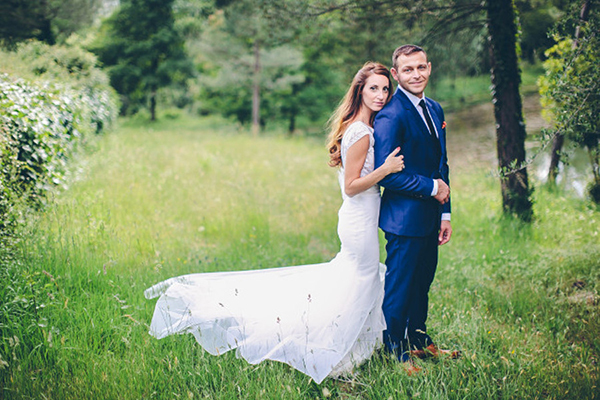 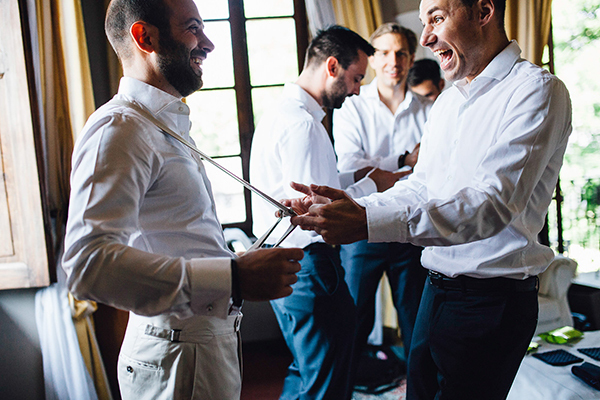 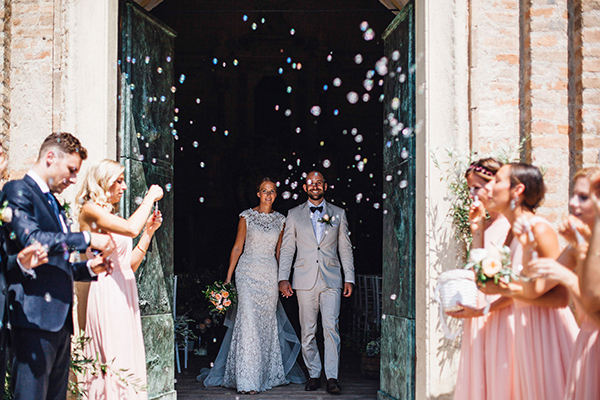 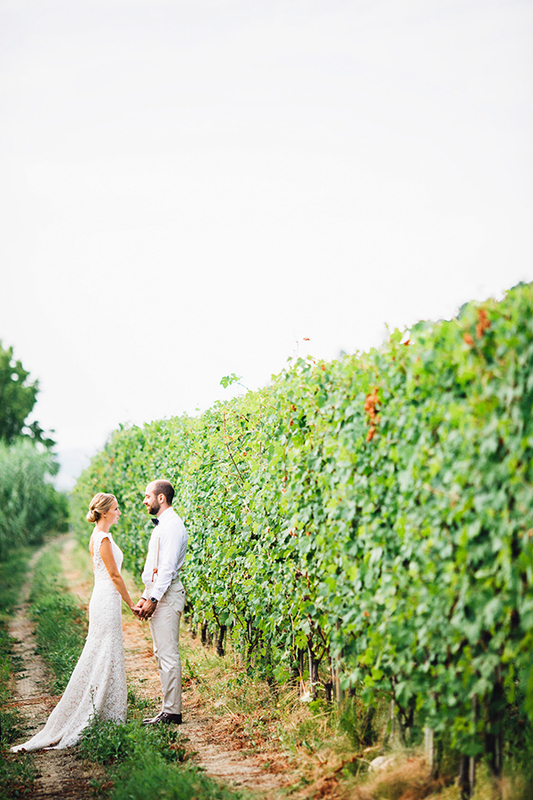 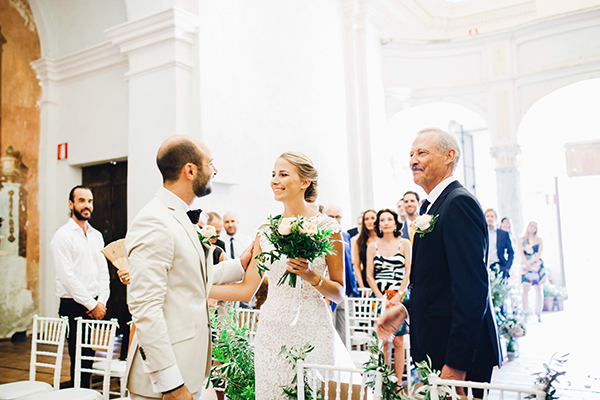 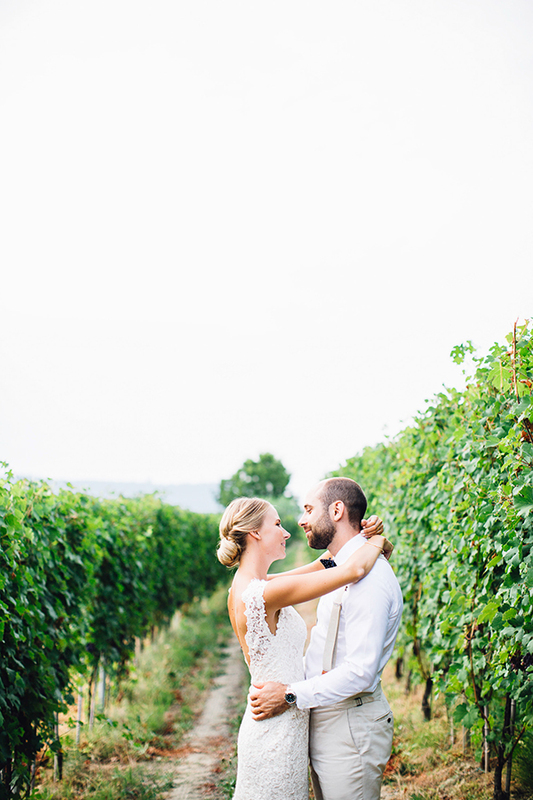 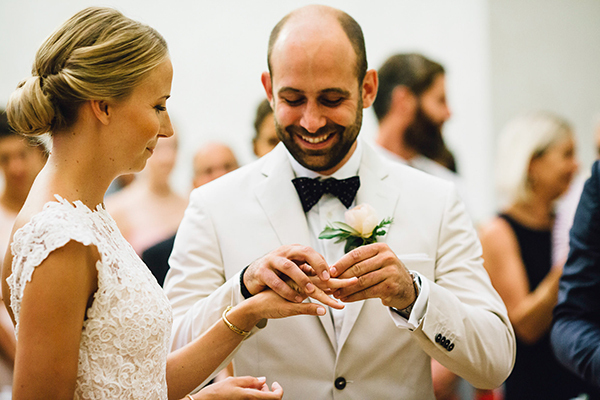 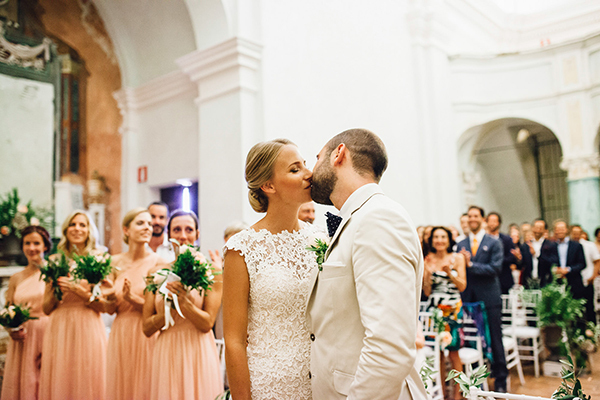 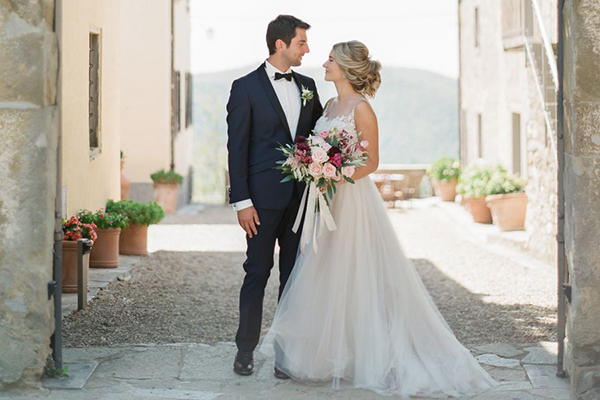 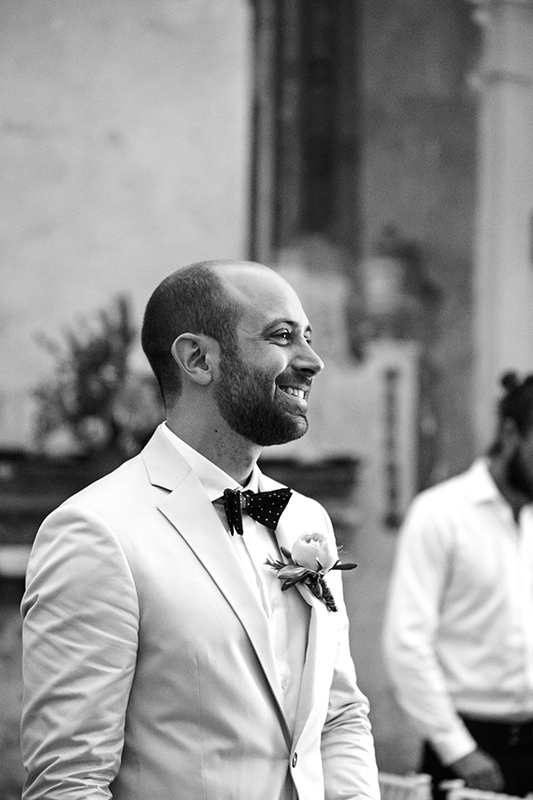 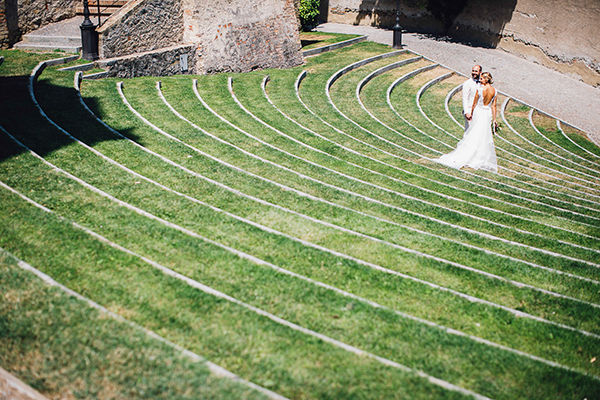 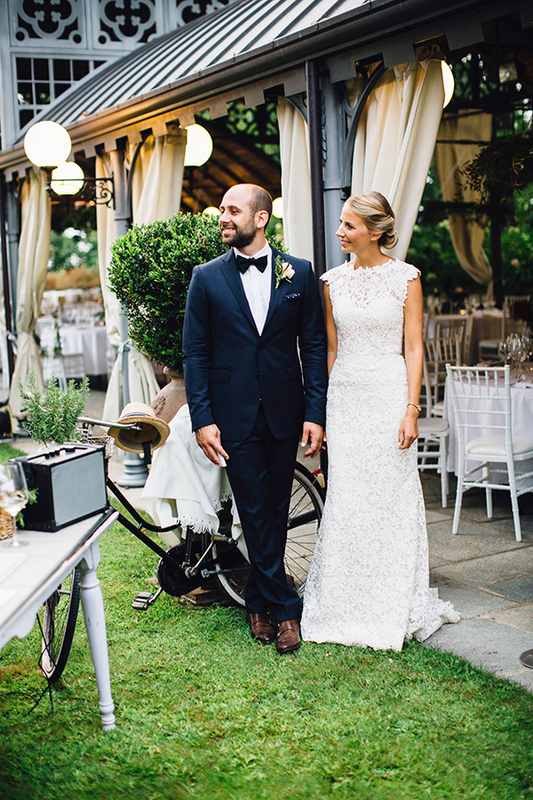 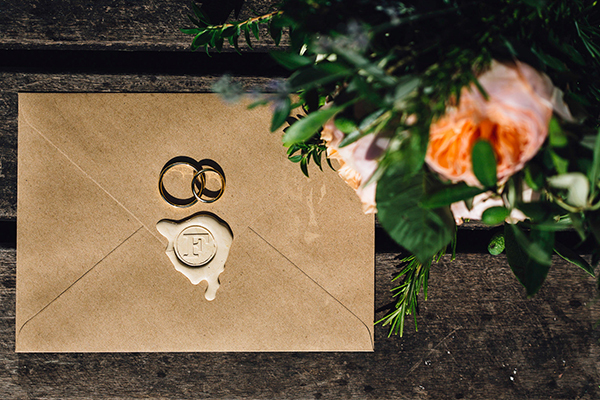 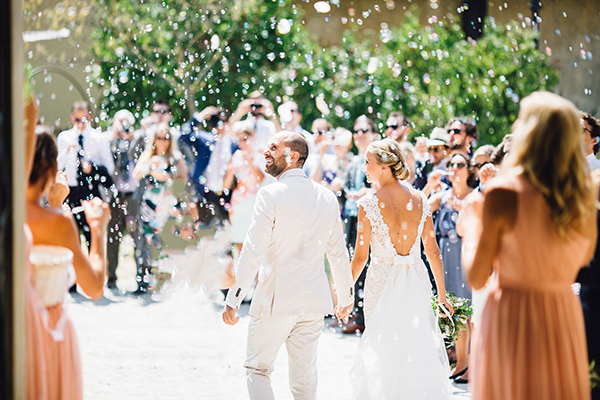 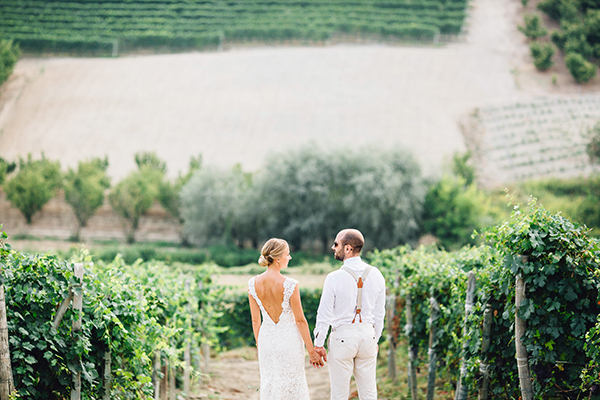 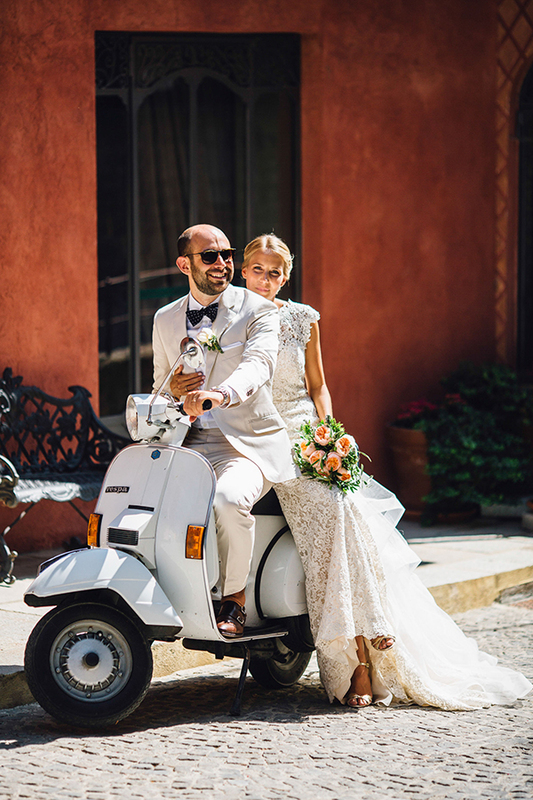 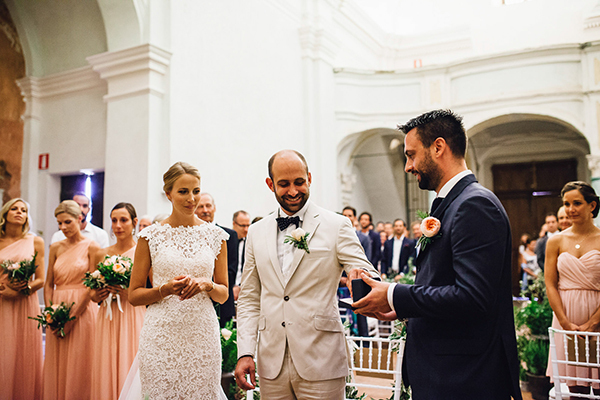 Coming from Switzerland, Fabienne and Fabio, have different origins, and they decided to get married in Italy to have that Italian flavour for their big day”. 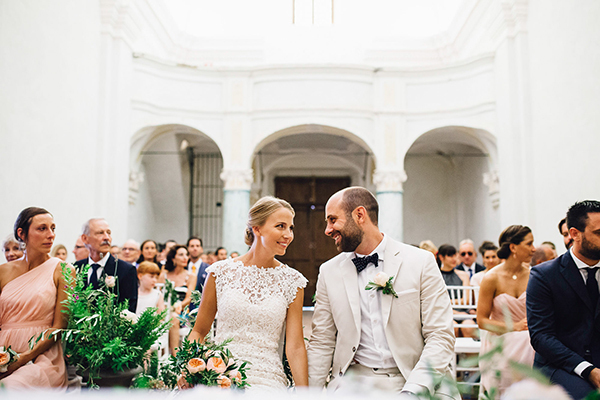 “They tied the knot in Saint Augustine Church, that used to be an abandoned church located in the upper part of the town. 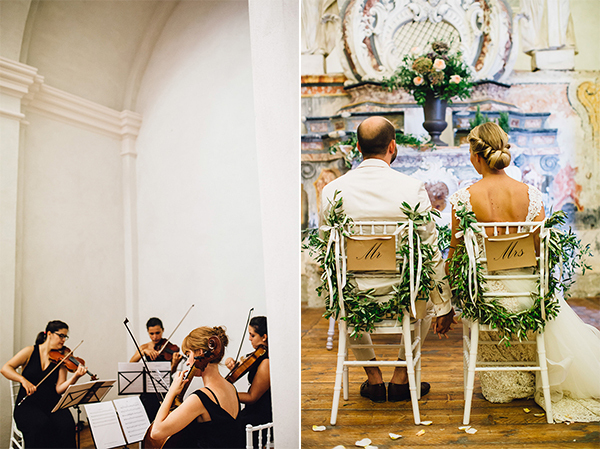 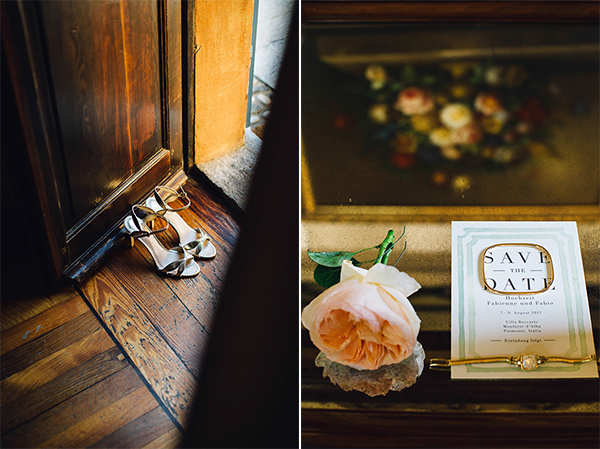 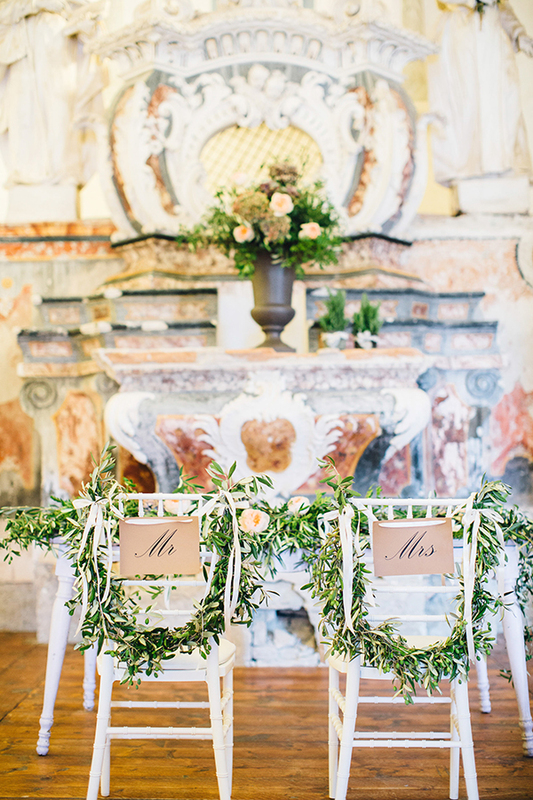 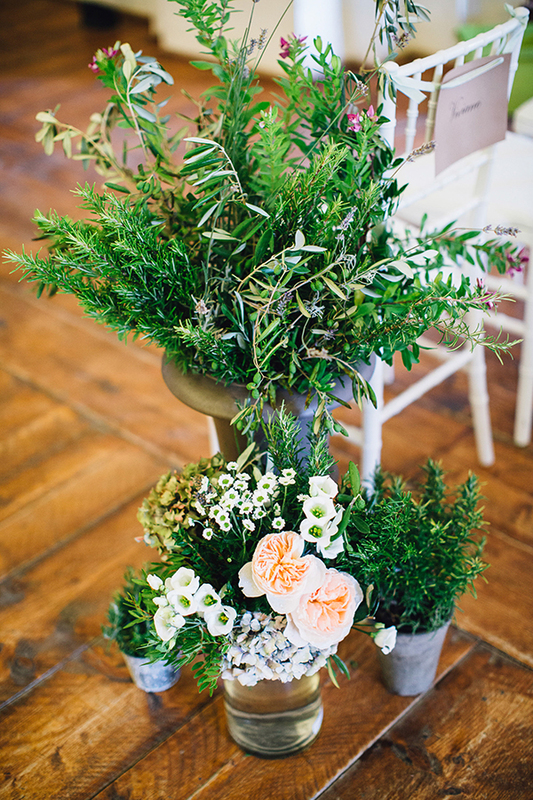 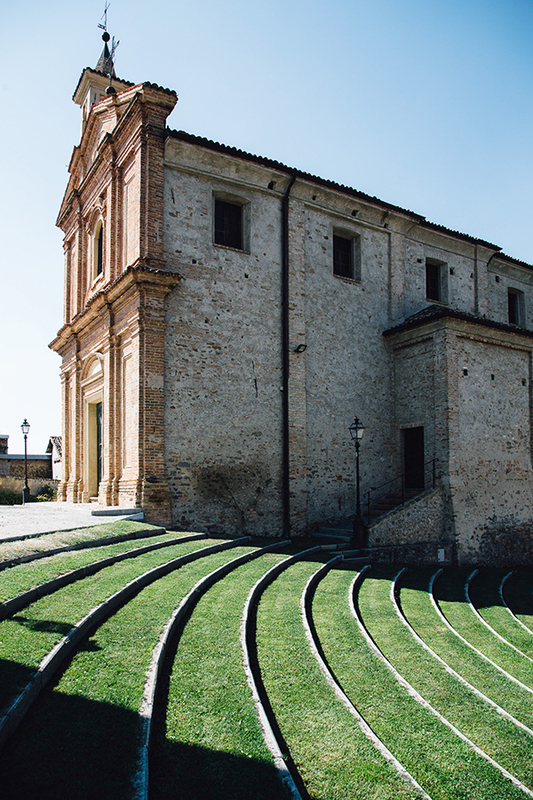 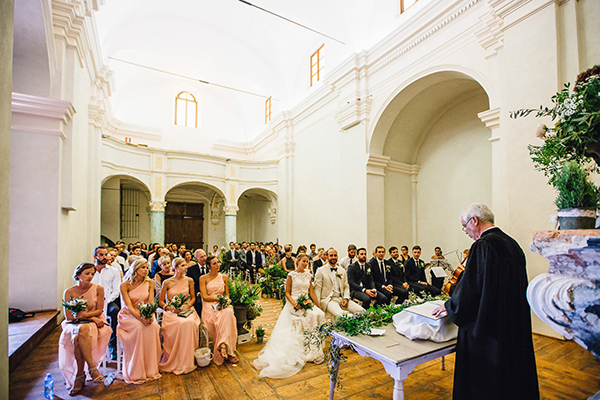 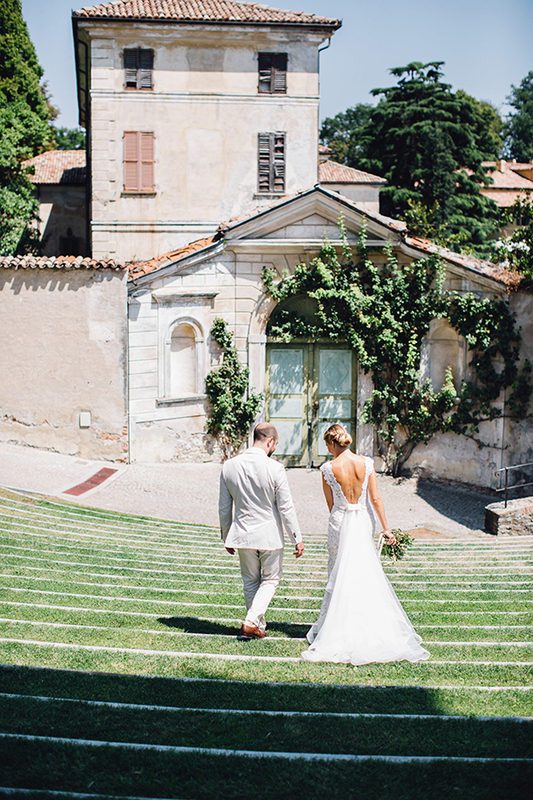 Thanks to the Fabienne beautiful planning, it became a gorgeous late ‘600 Baroque church, filled with the scent of the olive branches and peonies”. 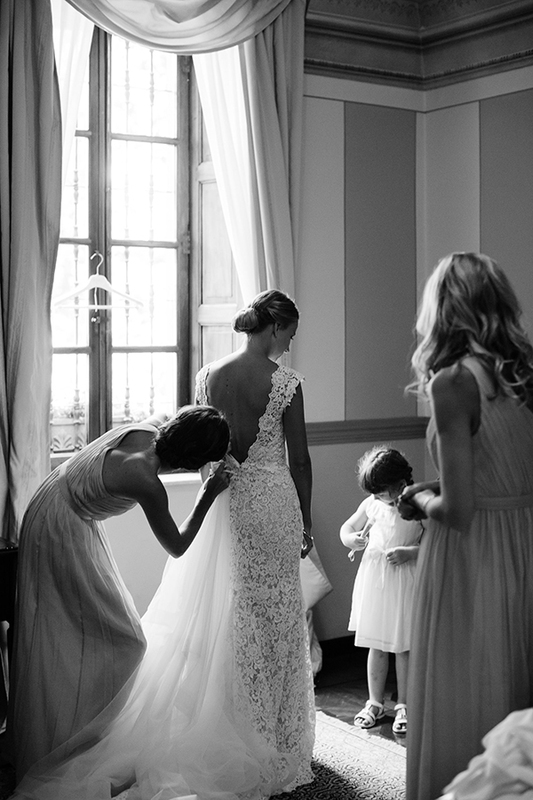 “The marriage was a very emotional ceremony also thanks to the speeches of the sisters of the couple. 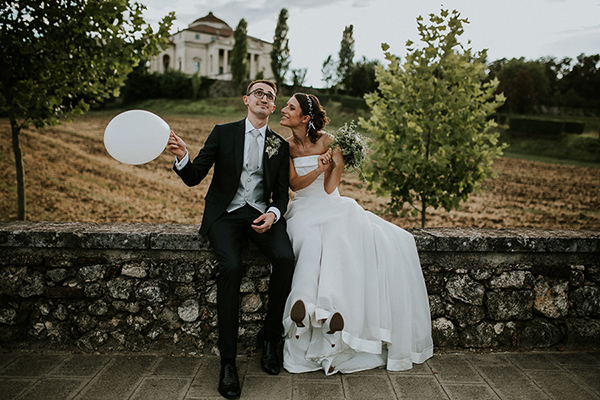 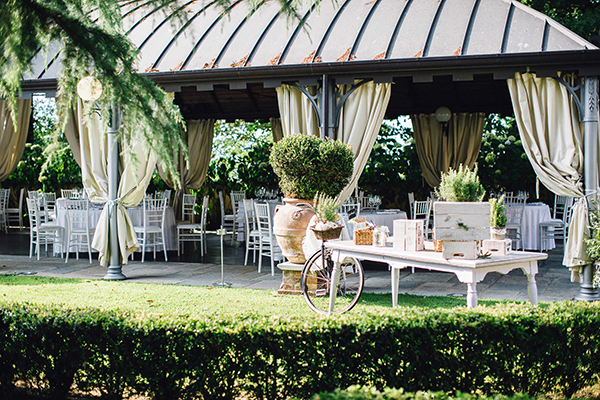 Then the couple and all they guests moved to Palazzo Martinengo, which is an amazing palace just few streets away from the church, where was held the luncheon, in the terrace with a breathtaking view of the Langhe landscape. 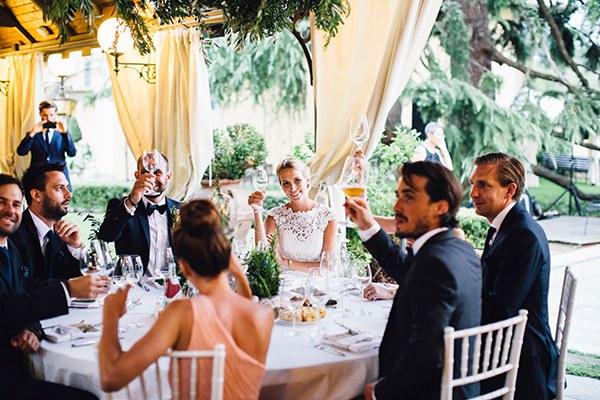 But the party continued all the night in the outstanding venue Villa Beccaris, where was served the dinner followed by the dances”.